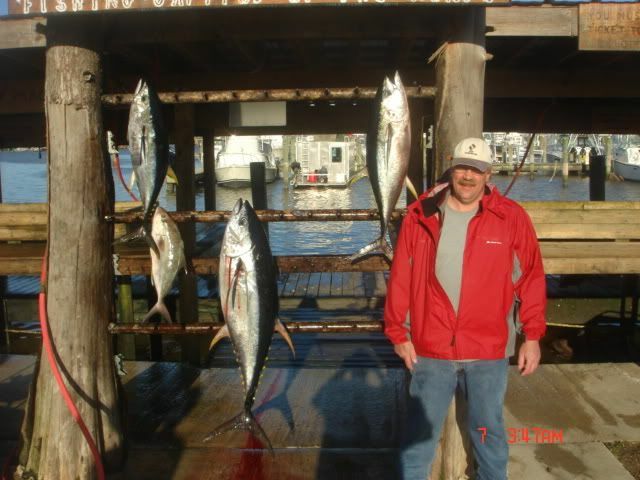 I ran a couple charters last week. One on my boat and one on a private boat. 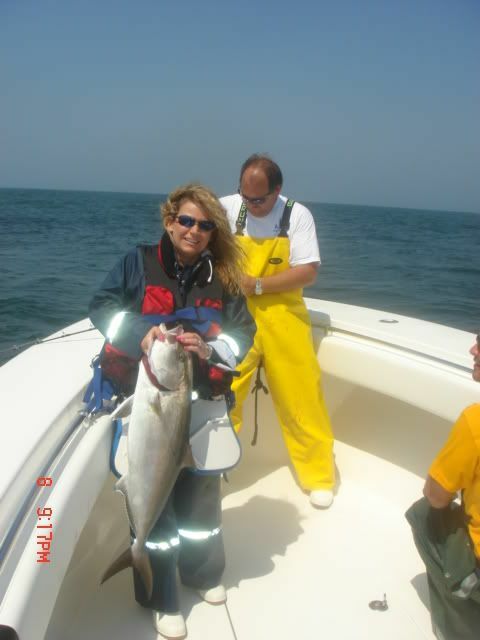 I had Michael and Susan Davis on the boat first and we went on a tuna search. 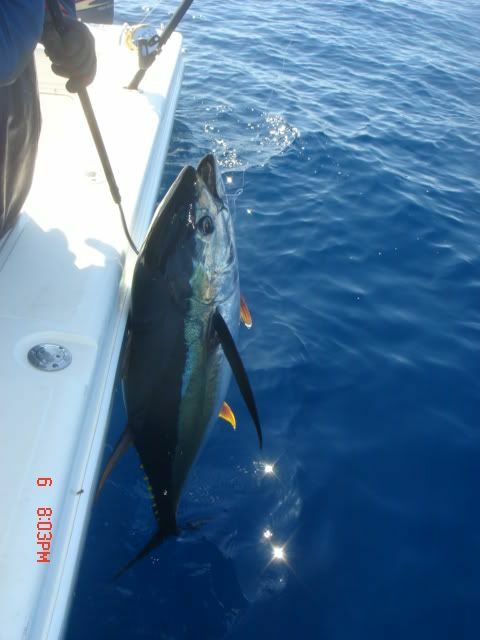 First pass by the rig we hooked up a decent yf trolling and then pulled the hook. About a half hour later we put a 30 pounder in the boat. 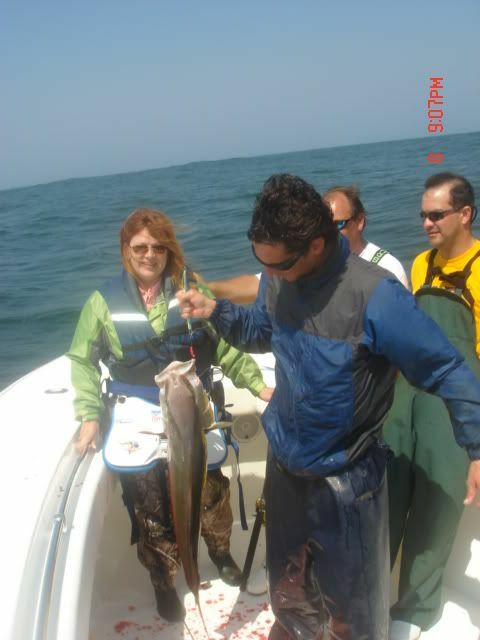 We also caught a bunch of skippies and small blacks trolling. We made the move to start chunking and first drift Michael hooked up on a 60 pounder and put it in the box. No more bites on the chunk so we headed to a different rig and pretty quickly nailed another yf on the troll. we had a few more swings and misses but no more connections so we rolled inside and tried to get some bottom fish. The current was ripping and with 32 ounces of weight I couldnt get down so we called it quits and headed to the house with three yf and one almaco jack. 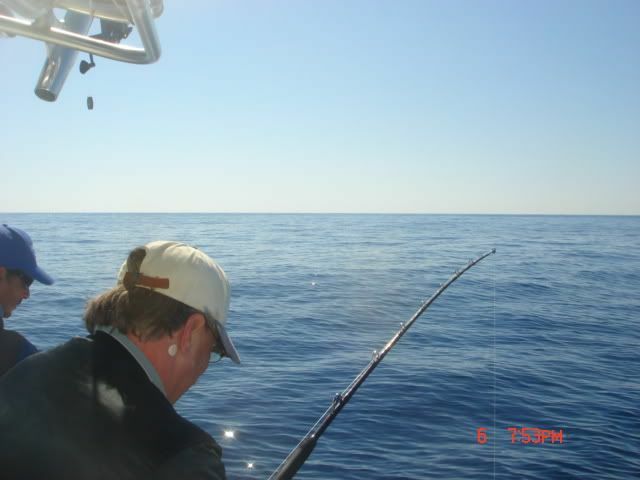 On Friday the request was just to catch some fish and bend some poles so we stayed in close on the rigs. 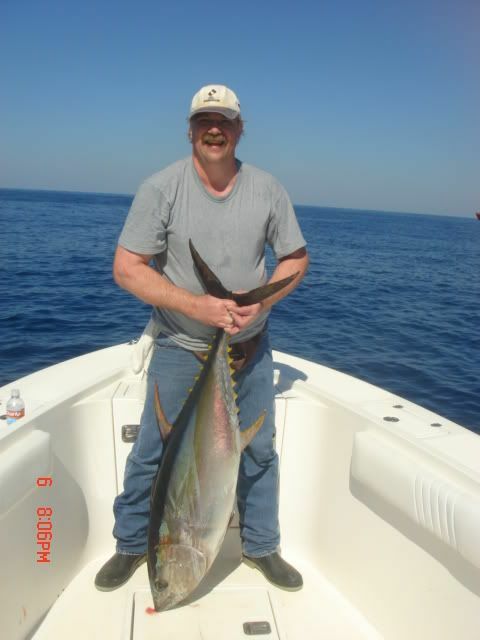 Using OTI Jaeger jigs we hammered the amberjack. For some reason teh grouper didnt want to bite jigs like normal although we did put a handful in the boat using dead bait. 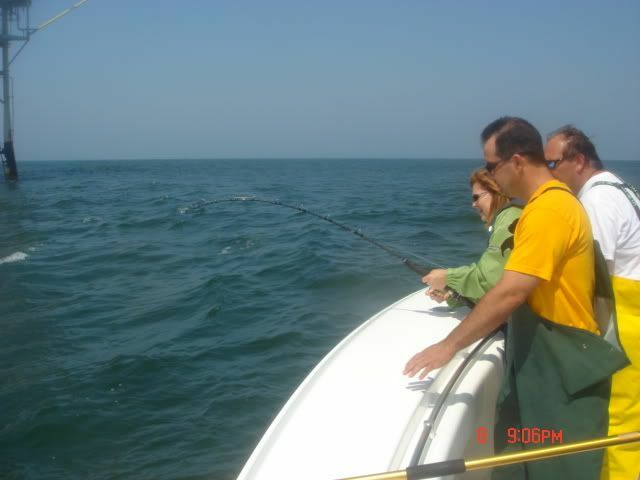 We got ran off a couple of rigs because teh 12-15 pound snapper were just too thick to fish. It got kinda slow at teh end so deckhand Josh decided to drop a line to the bottom and try to add to our score and he did in a big and unusual way. The fish fought kinda wierd on the way up and when I caught sight of it I had to do a doubletake. 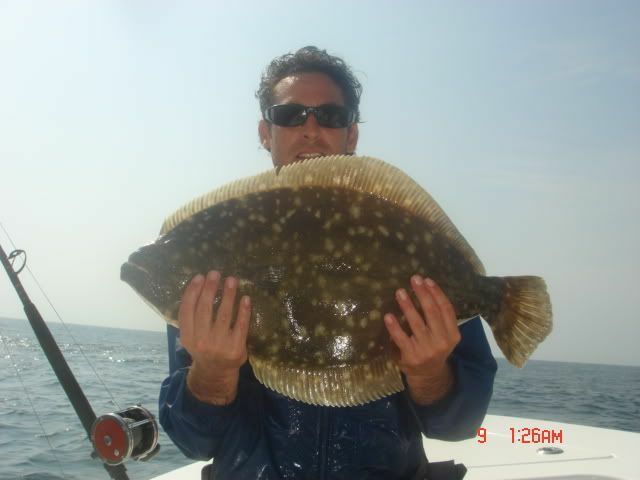 He had managed to hook a big freaking flounder (my exact words) on a dead pogie in 230 feet of water. 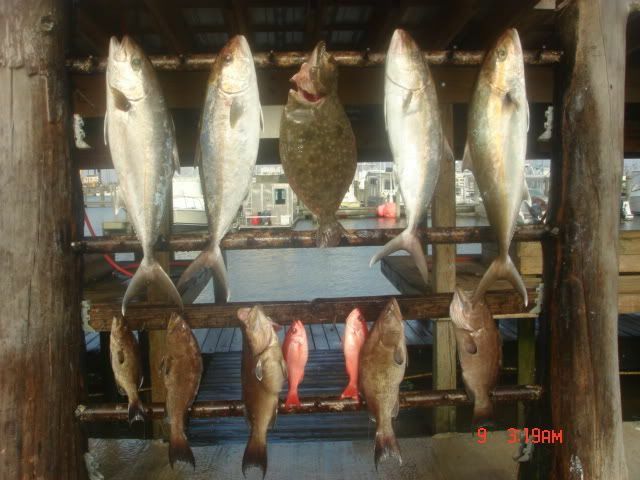 We ended up the day with a limit of ajs plus we threw a bunch back, 5 scamps, 2 beeliners, and a big freaking flounder.